France and the United Kingdom share a vision in which Maritime Mine Counter Measures (MMCM) capability is delivered by unmanned systems operating remotely from a command centre deployed either on board ship or ashore. 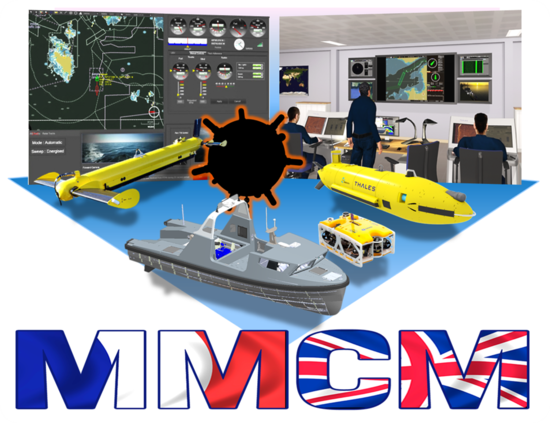 The objective of the OCCAR-managed MMCM Programme is to develop, manufacture and qualify two systems to achieve this vision by demonstrating prototype technologies, combined to deliver agile, interoperable and robust MMCM capability. By defeating static underwater threats at pace, these systems will give strategic, operational and tactical freedom of manoeuvre and thereby assure the delivery of Maritime Force Projection and Maritime Security at the time and place of the States’ choosing in support of a wide range of naval operations. The FR/UK MMCM Contract for the demonstration phase was awarded in March 2015 and alongside this the programme was integrated into OCCAR. The contract to proceed with Stages 2 and 3 of the Maritime Mine Counter Measure (MMCM) Programme has been jointly announced, on 20 October, at EURONAVAL by the United Kingdom (UK) Defence Procurement Minister, Harriet Baldwin and for France by the Head of the defence procurement office (Direction Générale de l'Armement), Laurent Collet-Billon. For further information about the MMCM Programme, please contact the Programme Division or the Prime Contractor.